I invited author/photographer, Geri Anderson, to share her experiences and insights into the life of an expat. Some of the stories are excerpts from her memoir, “OH OAXACA, Living, Laughing Learning in Mexico,” now in its third printing. Others are glimpses into recent sojourns into the mountains, at the seashore, in the countryside and on the city streets. El Maestro de Los Monos. If you've ever wandered through Oaxaca City's Jalatlaco neighborhood to the corner of Niños Heroes de Chapultepec and Calle Aldama, you've probably noticed José Octavio Azcona y Juárez, Mexico's foremost monero (puppet maker) working in his shop, creating monos de calendas (huge dancing puppets). Amazing Puppet Maker Changes Boy with Autism's World. Autism knows no boundaries. It pays no attention to skin color, language, or nationality. In Oaxaca de Juárez, Mexico, a puppet maker discovered that some children who had never talked before could talk to his puppets. Be careful, Miss Geri: climbing the bell towers in San Luis Potosi. What a thrill it would be to climb to the uppermost bell of this magnificent cathedral, I thought. Dolores Hidalgo: Mexico's Cradle of Independence - September 15, 1810. As you walk toward the main square from the bus terminal in Dolores Hidalgo, it's hard to imagine the impassioned frenzy that heated this Mexican village on September 15, 1810. Here, on the balcony of his home, the town's beloved priest, Miguel Hidalgo y Costilla, yelled "El Grito de Dolores," the Cry of Independence. It was a cry that changed the history of North America, and, indeed, the world. Looms, weavers and the sacred snail on Mexico's Costa Chica. Two women friends and myself (three of a "certain age"), were searching for the remote Mixtec village where women weave their wrap-around skirts on backstrap looms, using yarn dyed blue from the anil (indigo plant), red from the cochineal (cacti bugs) and purple harvested from snails. Through the lens: Dia de los Muertos (Day of the Dead). Day of the Dead, one of the most important celebrations in Mexico, is understandably difficult for foreigners to fully comprehend. Cemeteries full of families, flowers, food, and music seem daunting to the uninitiated. Semana Santa Holy Week in San Miguel de Allende. Semana Santa, or Holy Week, is a misnomer. It s NOT one week! It’s TWO full weeks of parades, processions, parties, prayers and pagentry. For me, it started at 3 a.m. March 16, 1997--two Sundays before Easter. Puerto Escondido in December: A November 2001 update. In December 2000, I watched the sleepy fishing village of Puerto Escondido wake up from its summer slumber. When I arrived during the first week of the month, this beach town south of Oaxaca city hadn't even begun to yawn and stretch from its months' long, low-season nap. Mexico's Copper Canyon spans Chihuahua and Sinaloa: introduction and resources. The most common way to visit Copper Canyon is by train, which runs from Los Mochis to Chihuahua - one of the few remaining passenger trains in Mexico. While this rail trip offers spectacular views, passengers do not get an opportunity to go deep into the canyon. Therefore, a few years ago, I opted to experience the area first hand, traveling by truck and bus from Creel to Batopilas. Southern Mexico's Hidden Port: Puerto Escondido, Oaxaca. 150 miles south of Oaxaca City, lies sheltered in a large bay along the little-traveled southern coast of Mexico. Tucked between the Sierra Madre Sur and the Pacific Ocean, this hidden port is less famous than the country's mega-beach resorts, yet you'll find several beaches and surprises at every turn--if you're willing to explore. 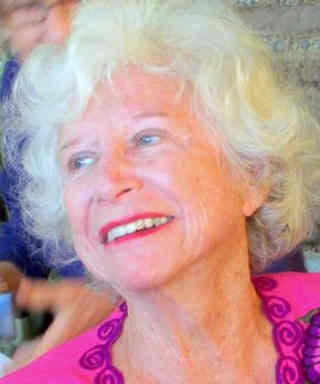 Geri Anderson passed away in March 2019 and was buried in the city she loved, Oaxaca City.